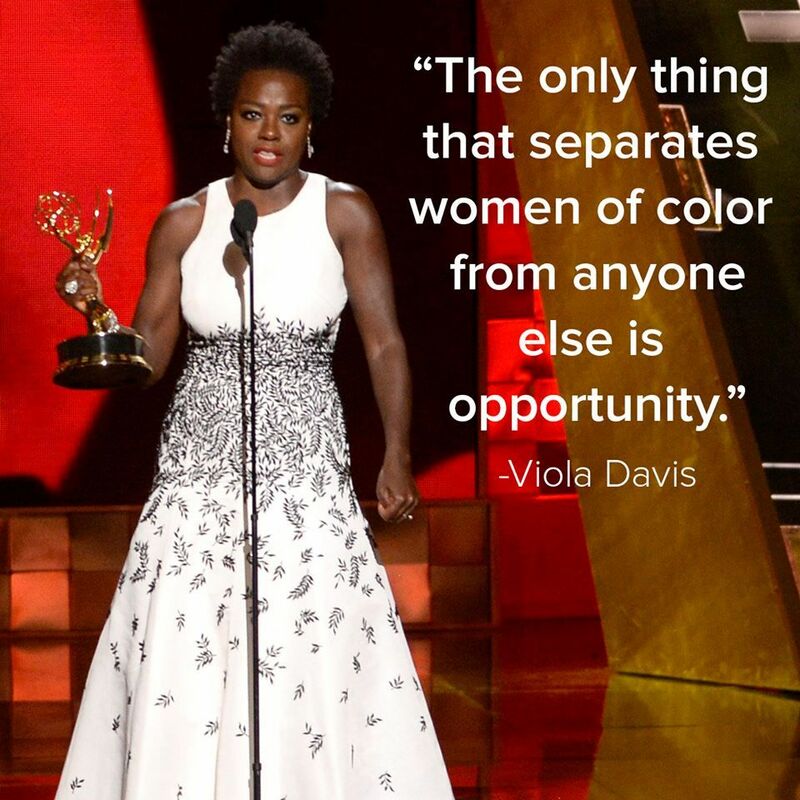 As you know our girl Viola Davis recently won her very first Emmy. It’s been well over six decades since a black woman has won an Emmy. This wasn’t just an accomplishment for Viola but an accomplishment for us all. Her win taught us that there is still hope in that there are still women who are paving the way for others to follow. Her win taught us that there is still power and authenticity in a genuine spirit. Her win taught us that you can be a chocolate girl with natural hair and create a platform and a powerful voice for yourself. Through that the world can stand, listen, and take note. Her win taught us that we have to stand on the shoulders of those who have come before us and use that as a catalyst to propel into our own dreams, goals, and desires. We cannot allow their struggle, scarifice, and success go to waste. The thing that I found most amazing about her win was the look on her face when she won because she wasn’t expecting to win. How many times do we do things with such power and might but still don’t expect to win in life? How often do we still question our abilities because we know we weren’t meant to stand out in the current world? We have to continue to be the change we want to see by creating opportunities and building the doors we want so desperatly to open. We must expect to be winners and what we will expect will eventually become what we see. There is still hope for the black girl please don’t give up on your winning power or your dreams. There is no appropriate length of time on your success. Embrace the natural beautiful and powerful you! The world is waiting.